Thank you to Sheila Poland Largo for contributing this great old image taken by her father Clifford H. Poland, ASC. 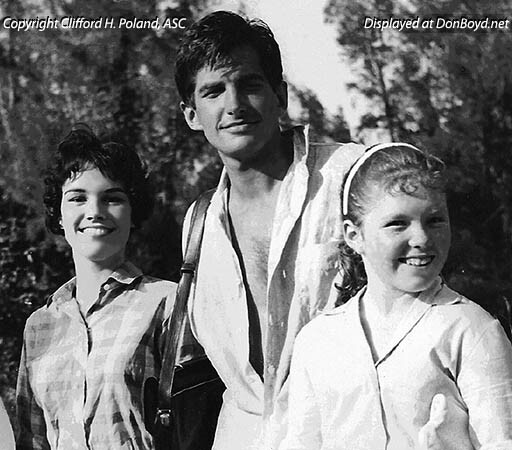 Sheila says: "This is me, actor George Hamilton and my younger sister Linda Poland on the location site (Snapper Creek) for the Movie "Angel Baby" in 1961. I was 16. Burt Reynolds was also in the film (his film debut) and was also George Hamilton's stunt double, LOL."